I signed a contract today to write A Crash Course in Genealogy for Libraries Unlimited, an imprint of ABC-Clio of Santa Barbara. My previous books have been published by Libraries Unlimited when it was owned by other corporate partners. This will be a book in the "Crash Course" series which is designed for library workers who need a quick immersion into a new, job related, area of library service. There are already at least 16 books in this series. I have been discussing this book with the series editor for quite some time and have had time to start working on it this year. The manuscript is due to the editor by the end of 2010 and should be published in late Spring, 2011. The purpose of the book is to prepare library workers to feel confident helping genealogical researches who seek assistance from them in the libraries in which they work. The timing of this book should be good as it will be coming out about the time that Who Do You Think You Are?(WDYTYA?) will be completing its second season on NBC with Ancestry.com as the major sponsor. The first season in early 2010 was credited with significantly increasing the number of individuals entering libraries to start or continue research into their family histories. Faces of America on PBS and The Generations Project, sponsored by RootsMagic on BYUTV also contributed to this trend. Also in early 2011 The BYUTV Channel will run the second season of The Generations Project. The Generations Project is a less glitzy version of WDYTYA? which seems to offer more content because there are fewer ads to dilute the content offered during the one hour time slot. The show focuses on everyday people rather than on the celebrities featured on WDYTYA? This increased interest in family history creates a need for more genealogically savvy library workers. 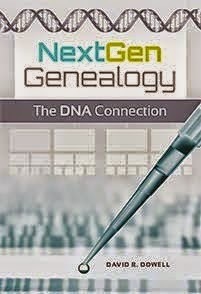 It is hoped the proposed Crash Course in Genealogy will help meet this need. Currently I have completed a rough draft of about three-fourths of the book.